– Resident of Following States Are NOT Entitled To Apply: California, Colorado, Georgia, Kansas, Montana, Nevada, New Hampshire, Ohio, Tennessee, Virginia, and West Virginia. In the current economic climate, there is no doubt that a little extra money can go a long way. While much of the country remains unemployed, many who are lucky enough to have jobs are still struggling to scrape by. When you have an emergency, or an unexpected expense comes up, you may wonder how you are going to make it to your next paycheck. This is where a payday loan company can help. Companies such as MyCashNow offer short-term loans intended to get you through to your next paycheck. These loans can be used to cover everything from medical expenses to car payments. Not all payday loan companies are created equal, however, and it is important that you choose the right company before you borrow any money. This MyCashNow review will examine one of these companies. Only once you have seen the information for yourself will you be able to make an informed decision. 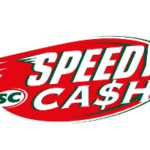 MyCashNow has standard site security that is comparable to the security found on most other payday loan websites. You must create a user account and password in order to take out a loan and the company uses a secure https server to protect your information. This means that it is highly unlikely that an outsider or hacker would ever be able to get at your information. In spite of the security of the site itself, however, there have been some reports regarding the security of information held by the company. Mycashnow, along with sister sites Paydaymax and Discountadvances, have been accused by a number of customers of selling their personal information. Some of these customers claim that their checking accounts were hacked into shortly after they took out a loan and that they hold the loan company responsible for the security breach. Although these claims are severe, however, no accusation has ever been verified. 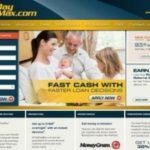 This MyCashNow review has found that MyCashNow is one of the easiest payday loan websites to use. In general, it is much easier to get approval for an online loan than it is to get approval for a loan from a traditional establishment. All you have to do to borrow money from MyCashNow is fill in an online application form and provide some supporting documents. You must be over 18 years of age, have a checking account that is at least 90 days old, and work for an employer who deposits at least $1000 into your checking account each month. You will also have to submit a valid phone number for your employer so that the lender can verify your place of employment. Once you have applied and been approved, your loan will be deposited into your account within twenty-four hours. The basic interest rate offered by MyCashNow is fairly standard. Most of their loans have an interest rate of about 18.5%, which is only slightly higher than the average payday loan rate of 18%. That said, MyCashNow offers a number of excellent promotions and discounts. The more you use MyCashNow, the better their rates become. Preferred customers may earn as much as 30% off the standard interest rate, depending on how many times they have used the service. The company also offers an easy-to-read rate chart on their website so that you know exactly how much your interest will be before you take out a loan. MyCashNow has a well known customer service team designed to quickly respond to questions and concerns. Although the company itself is located in Vancouver, it has call centers in both the United States and Costa Rica. The large number of customer service representatives means that they are always easy to reach and that your problem should be dealt with quickly and efficiently. That said, there have been reports of a few problems regarding customer service. Some customers report being turned down for a loan in spite of their preferred customer status and the fact that they have promptly paid off all loans in the past. This seems to be a relatively isolated problem, however, and one that should not cause too much concern among new customers.